There are three major parts of the refrigerated vehicle, saying that the refrigerated truck is mainly composed of three parts: the chassis, the refrigeration unit, and the insulation compartment. In the refrigerated truck purchase is the selection of these three parts, the following simple to introduce the three parts of the choice. Â Refrigerator chassis chassis Changan, Jianghuai, Futian, Dongfeng, Liberation, Qingling, Jiangling, Jinbei, Iveco, etc. are commonly used in the brand, and the chassis with low fuel consumption, sufficient power and long mileage is selected according to the needs. Different brand series have their own advantages. Owners who choose based on performance will also have their own preferences. Although this preference is also determined by the price/performance of the brand, the preconceptions of the brand will also affect the choice of the owner. Â At present, the common refrigeration refrigeration brands on the market include Jingbo, Lengwang, Carrier, Ice and Snow, Huasheng, Mitsubishi, Jinda and Ruifei. Kaili, Lengwang, Mitsubishi and Huasi are imported brands. The cooling effect is relatively better than the domestic ones, so the price is relatively expensive. However, after the development and innovation, the quality of the domestic units has also been improved compared to the previous ones. Relatively car owners can consider domestically produced units. Refrigerator components separate units and non-independent units. Stand-alone units are generally suitable for large vehicles, while non-independent units are mostly used for small and medium-sized vehicles. Â Â The refrigeration unit of a refrigerated truck is used for temperature control, and the role of the car body is to maintain the temperature. If the refrigeration unit is the provider of energy, then the car body is the reservoir of energy. Among the three components of refrigerated trucks, the refrigeration unit and the insulated car body are the most important. The removal of the chassis can be used as a small thermal insulation and cold storage. The choice of the car body generally follows several points: the heat preservation performance is good, the weight is light, and it is not easy to damage. At present, the choice of the car body material for realizing the above performance is the polyurethane skin and the glass fiber reinforced plastic outer skin. 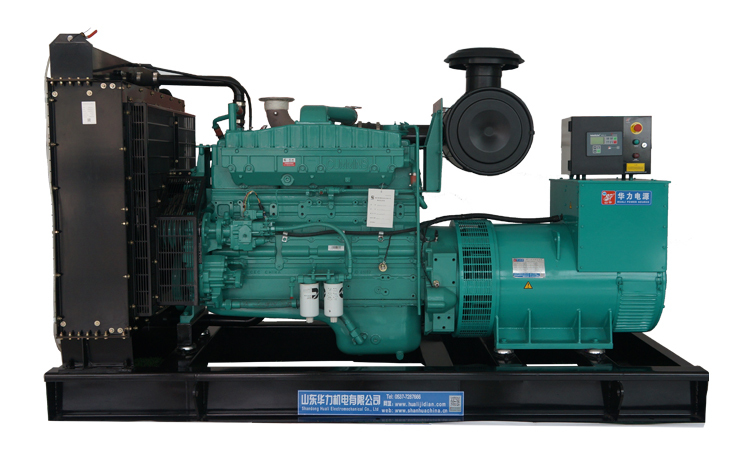 5.The control system of genset with the mechanical speed governors system is the normao panel;The control system of genset with the electronic speed governors system and the electronic fuel injection system is the standard model.Diesel generator set power station using standard conditions,environment temperature:40â„ƒ;altitude:1000m relative humidity:60%.